For the past several weeks, the eighth-grade language arts class has been exploring the Holocaust through various literature. As they completed The Diary of Anne Frank, class members became curious about Frank’s mention of her study of shorthand. Since shorthand is no longer taught as part of the curriculum, the students had no knowledge of it. 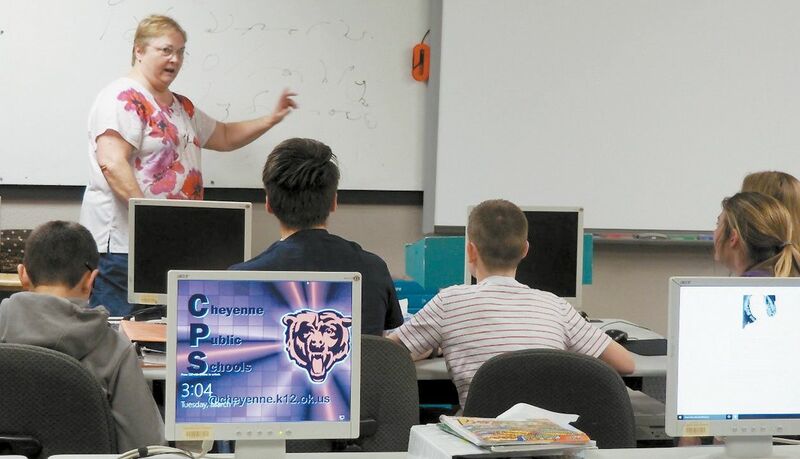 Consequently, retired special education director for Cheyenne Public Schools, Mrs. Ann Merritt, came to the rescue, and on Thursday, March 9, she presented a demonstration on shorthand. PreviousOKC Blue Game Day with the B.I.S.O.N.